Wow. I really don't even know how to begin this post. 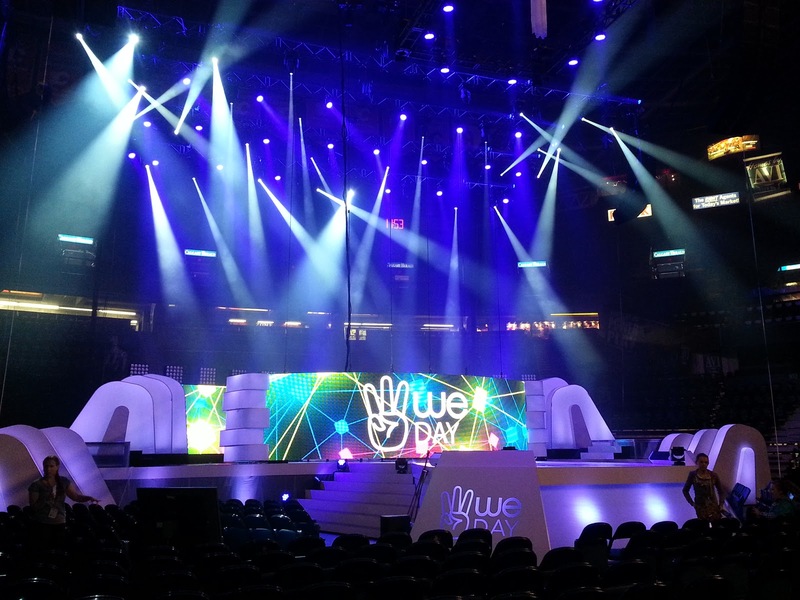 I suppose I should start by filling you in a little on what exactly We Day is, for those of you who aren't aware. We Day is an event that is aimed at engaging today's youth to be aware of and take action on social issues. It's put on by Free the Children. It's an event that brings celebrities, music artists, inspirational speakers and youth together. You can't purchase tickets; you have to earn your way to WeDay. Each school must commit to taking one local and one global action in order to be able to attend. Which means that the whole event is made possible by some amazing sponsors. How awesome is that? One of the main sponsors of We Day is TELUS, and they arranged for me and a few of my fellow local bloggers to attend a behind-the-scenes tour of the first We Day in Alberta. They also provided us with a Samsung Galaxy SIII to capture our experiences in video and photos. In addition to being a sponsor of We Day, TELUS is currently running the Phones for Good campaign. So if you purchase a TELUS Samsung Galaxy SIII (an amazing phone!) or an Ace Q, TELUS will donate $25 to Free the Children. Honestly, I am so lucky I was able to attend. We got to see how the whole production is put together, and meet a ton of inspirational and passionate people from Free the Children. There is nothing like meeting people who are so incredibly passionate about changing the world to inspire you. I just felt so uplifted and inspired the whole day. It really sticks with you and makes an incredible impression. In today's society we are so socially plugged in. It's ironic that even though we are so globally connected through social media, we often use it for such personal trivia. We update our friends on what we did that day, we Instagram our dinners, we Tweet about the tough days we had. It's all about ME! I am definitely a culprit of this...she says while typing on her personal blog...sigh. I think it must be hard for the youth of today, who have been immersed in this technology from the get-go, to move beyond this culture of ME. So to find an event that really focuses on changing that ME to WE is amazing. Nothing in this world will change without our youth. That is the most exciting thing about Free the Children: it focuses on youth helping other youth. 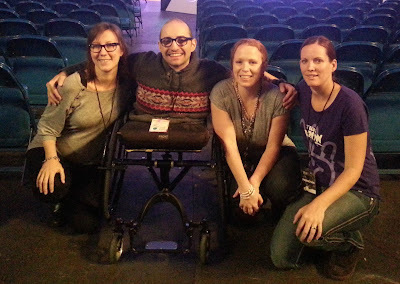 One of the speakers we met is Spencer West. He is truly an inspiration. Despite having no legs, he has accomplished amazing feats, such as climbing Mt Kilimanjaro, and has dedicated his life to Redefining Possible. 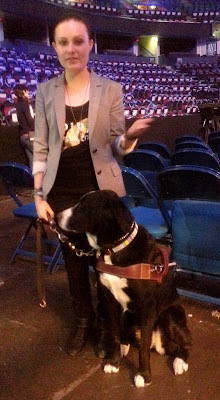 We also met Molly, who lost her vision at age 14. 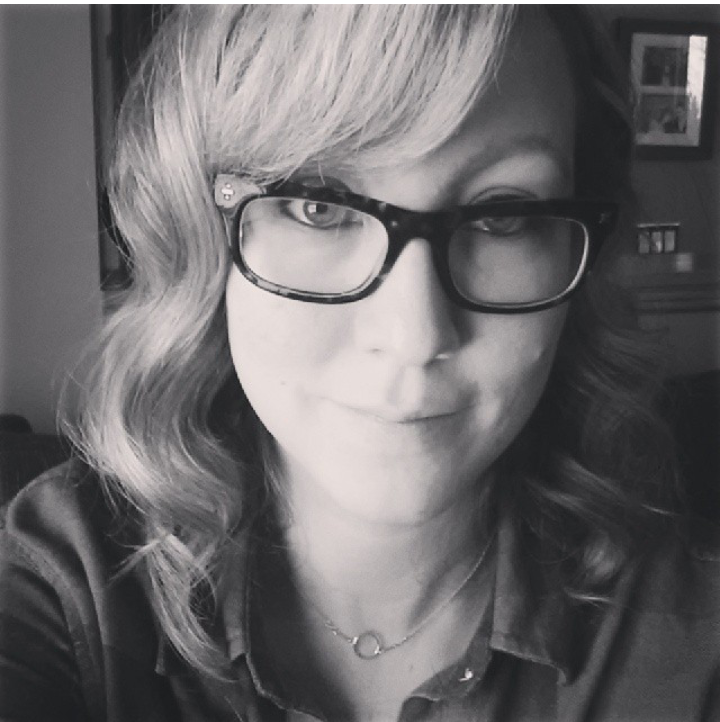 Her story of how she overcame bullying is one that I am sure will resonate with so many of today's youth. What an amazing young lady. Right now there is a lot of focus on bullying in the media with the recent tragic suicide of Amanda Todd. So it was particularly poignant to hear Spencer and Molly candidly speak of how growing up "different" affected them, and how they overcame it and how it shaped who they are today. As a parent, it's so valuable for me to see these sort of events being held. It really brings home the fact that I need to ensure that my children are aware of what is going on in the world around us, and to talk about it openly and discuss how lucky we are to have the life that we have. I am so lucky to have participated in this event. It's something that will stick with me for a long time. *TELUS provided me with a Samsung phone to facilitate the writing of this post. However all views and opinions are my own (as always!). I'm still thinking about it and will be for quite some time. Did you and your hubby get a copy of "From Me to We" from John a few Christmas's ago. I can't remember when he gave them out. If not, you can borrow my copy.